There’s no sound worse than a baby crying in public – and it’s even worse when you’re sitting next to one on a plane. While many people have come to associate flying with frustration because of crying kids, American airline JetBlue had passengers singing a different tune on a recent flight from New York to Long Beach, California. 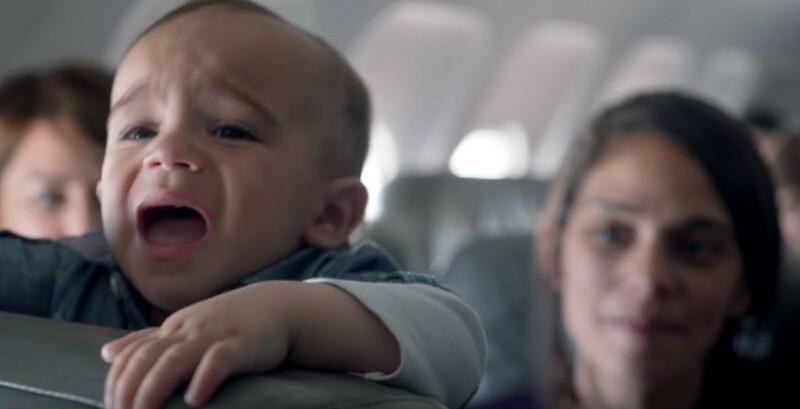 In their ‘FlyBabies’ promotional video, JetBlue detailed the difficulties of flying with a baby from a mother or father’s perspective – with most parents worried their children would get tired and fussy mid-flight, upsetting other passengers. So the airline decided to turn this into a positive. Every time a baby cried on the flight to California, JetBlue would offer 25 per cent off each passenger’s next flight. There were five babies on board – so the chances of a free flight were pretty good. And in the end, all it took were four cries for the 140 passengers to be rewarded with a free roundtrip ticket on JetBlue. Unfortunately though, it was a one time deal for passengers on board the California bound flight. But maybe other airlines will jump on the free flights band wagon. Crying babies never sounded so good.